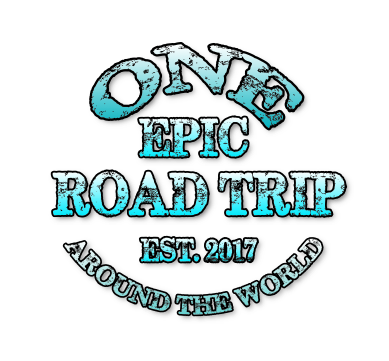 This website is covered by www.oneepicroadtrip.com also known as One Epic Road Trip. Please read the Terms of Service carefully before using this website. By accessing or using any part of this website, you agree to be bound by these Terms of Service. If you do not agree with all the terms and conditions of this agreement, then you must stop using this website immediately. If you are under 18 years old, you must ask the permission of your parent or guardian and they must accept the terms and conditions on your behalf. We reserve the right to update, change or replace any part of the Terms of Service by posting updates and/or changes to the One Epic Road Trip website. Your continued use of/or access to the website following the posting of any changes constitutes acceptance of those changes, so please check back often. b. Use the website in any manner that may infringe any of our rights or the rights of a third party. c. Reproduce, modify, display, perform, publish, distribute, disseminate, broadcast, frame, communicate to the public or circulate to any third party or exploit the website and contents in any way, including for any commercial purpose, without our prior written consent. You acknowledge that the website is provided “as is” and on an “as available’ basis, and (to the extent permitted by law), is provided without any guarantee, conditions or warranties. If, at our request, you submit any content (for example contest entries, creative ideas or comments (together ‘Content’), you agree that we (and other users if the website) may, at any time, without restriction, edit, copy, publish distribute, translate and otherwise use in any media content. We are not liable for any Content posted by other users and which is available on the website. In the event that you believe such content infringes any rights or is illegal then you should let us know so that we may investigate. In addition to other prohibitions as set forth in the Terms of Service, you are prohibited from using the site or its contents; (a) For any unlawful purposes; (b) To infringe upon or violate our intellectual property rights or the intellectual property rights of others; (e) To Harass, abuse, insult, harm, defame, slander, disparage, intimidate, or discriminate based on gender, sexual orientation, religion, ethnicity, race, age, national origin or disability; (f) To submit false or misleading information; (g) To upload or transmit viruses or any other type of malicious code that will or may be used in any way that will affect the functionality or operation of the website, other websites, or the internet; (h) To collect or track the personal information of others; (i) To spam, phish, pharm, pretext, spider, crawl or scrape; (j) For any obscene or immoral purpose; or (k) To interfere with or circumvent the security features of the website, other websites, or the internet. We reserve the right to terminate your use of this website or any related websites for any breach of these Terms of Service. TO THE FULLEST EXTENT POSSIBLE UNDER APPLICABLE LAW, IN NO EVENT SHALL WE BE LIABLE TO YOU WITH RESPECT TO – – – USE OF THE WEBSITE AND/OR BE LIABLE TO YOU FOR ANY DIRECT, INDIRECT, SPECIAL OR CONSEQUENTIAL LOSS OR DAMAGES, INCLUDING WITHOUT LIMITATION DAMAGES FOR LOSS OF GOODWILL, LOST PROFITS, OR LOSS, THEFT OR CORRUPTION OF YOU INFORMATION, THE INABILITY TO – – – USE THE WEBSITE OR DEVICE FAILURE OR MALFUNCTION. WE SHALL NOT BE LIABLE EVEN IF WE HAVE BEEN ADVISED, ARE, OR SHOULD OTHERWISE REASONABLY HAVE BEEN AWARE OF THE POSSIBILITY OF SUCH DAMAGES, INCLUDING WITHOUT LIMITATION DAMAGE – – – USED BY ERROR, OMISSION, INTERRUPTION, DEFECT, FAILURE OR PERFORMANCE, UNAUTHORISED – – – USE, DELAY IN OPERATION OR TRANSMISSION, CONNECTIVITY FAILURE, COMPUTER VIRUS OR ANY OTHER HARM. In the event that applicable law does not allow the exclusion of certain promises and/or the exclusion of liability for direct indirect consequential or other damages in no event shall our liability arising under or in connection with these Terms of Service and your use of the website exceed £50. We do not exclude our liability (if any) to you for personal injury or death resulting from our negligence; fraud or fraudulent misrepresentation; or any matter for which it would be illegal for us to exclude or to attempt to exclude our liability. If any provision of these Terms of Service is found to be invalid for any reason, the invalidity of the provision will not affect the remaining provisions of these Terms, which shall remain in full force and effect. These Terms of Service and any policies or operating rules posted by us on this site or with respect to the website constitutes the entire agreement and understanding between you and us and govern your use of the website, superseding any prior or contemporaneous agreements, communications and proposals, whether oral or written, between you and us (including but not limited to, any prior versions of the Terms and Conditions).